Hi everyone! We have some exciting news for those of you looking for another way to take advantage of the great value of the PS3 system. We’ll be rolling out ten, yes TEN, new PS3 “Greatest Hits” titles at retailers in U.S. and Canada over the course of the next few weeks. For $29.99 (MSRP), you can expand your library with some of our best-selling games like inFAMOUS, God of War Collection, Killzone 2 and Resident Evil 5 at an incredible price. With nearly 40 “Greatest Hits” titles for you to choose from, you can pick up that AAA game you’ve had your eye on. Enjoy! I like the greatest hits system, but wow… these are quite possibly the ugliest most uselessly cluttered covers I’ve ever seen. I think Sony went in the right direction with the new PS3 logo, but all the extra tags, logos, and text all over the new covers is just really really unappealing. These greatest hits covers just make it even worse. 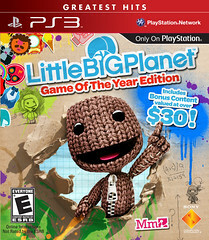 damn I’m definitely picking up LBP for 30 bucks hell yea!! Greatest Hits… Is that 20 or 30 clams? Also, what ever happened to the PSP Greatest Hits? We know that the Go is trying to be pushed, but where are the reissuing of classics for that system? Heck, Dissidia should have been a major contender there, along with Hot Shots PSP 2 and (can’t belive I’m saying this) Secret Agent Clank. C’mon Sony. The PS3 is picking up, but why abandon your portable? Is it that hard to TRY? God of War Collection was already lowered to $29.99. Why did you even bother to reprint it with that Greatest hits box? Every single one of them is worth the 30 bucks. But i wouldnt i pay for the UFC game. 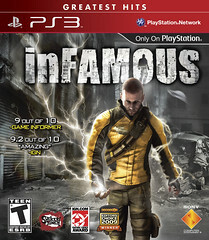 Im going to pick up Infamous when i get some extra money. I platinumed it and still want to play it. I have all but Fight Night and UFC. Not my kinda games, so nothing good here for me, but TONS of good stuff here for others who may not have picked these up yet. I’ve been trying to get my brother to buy Resistance 2 for a while now so we can play the co-op together. Maybe he’ll get it now. Continued support of all previously advertised features in future Firmware so that a customer’s product does not lose functionality due to the whims of the company. If continued support is not possible, a refund should be in order since the customer was led to make a purchase based on advertised features and later had said features switched in an unforseeable manner. This is the #1 reason I love Playstation 3. When was the last time you saw a players choice nintendo game? If i were to go to the store right now and buy a good nintendo game,(A.K.A. a game worth playing) a game that is three years old, is still on sale for $50. On top of that there are thousands of wii games out there and only a handfull are worth playing. Lol I own all 8.
wow you can get most of those games less then 30 bucks already way to stay ahead of the curve. I work in retail, and if you put a “sale” sign on an item, even if it’s not on sale, you’ll sell more. Same philosophy here. Even if the price isn’t changing, making people think they’re getting a deep discount (and face it, it IS lower than the price of 2 greatest hits PS2 games), will convince more people. Cool finally my waiting had paid off. Totally picking up kill zone 2. Now where can i buy this from? I have to bring this up, because I just bought a Greatest Hits title for the first time the other day. Sony, can you PLEASE change the packaging for Greatest Hits titles? I’m referring to the box itself, that disgustingly red plastic nightmare. Every time I open the case, I feel like I want to just throw the thing away, it’s that horrible. I understand wanting to attract attention to the product on the self, but is it not possible to just have the top bar of the case in red, along with the top of the insert? Leaving the rest of the case clear? I’m looking at it right now, and it’s just awful. I know this is just my opinion, but if they are going to be like this permanently, I’m going to either look for original copies, or just not buy the games. It’s really that big of a turn-off for me. can someone at sony tell me about heavenly sword? will that game ever get a price drop in price or what. I just think greatest hits boxart is terrible. Any psp greatest hits as well? $19.99 is the current selling price of Dead Space at Best Buy. 29.99 is also the price of some of these games, if not lower, already. I’m surprised at you, Kaze, you fell for this joke. I have them all and I love them all! Keep the great games coming SONY!!! i want mw2 new packs for ps3!!!! If it wasn’t so awesome I’d be sad right now. I will be so angry with you, PlayStation, if this is an April Fools Joke. P.S. God of War Collection was and now still is $30, with the “Greatest Hits” title. Therefore, no change, and I’m not impressed. Also, what happened to the “Greatest Hits” being $20? I like that much more. what am I supposed to be happy about this? Let me get this straight — Soul Calibur IV is being re-released in the year 2010 and *still* doesn’t have trophies? Also, why has Ghostbusters not been released as a Greatest Hit? It sold over a million units according to Atari! Hopefully Mirror’s Edge gets the attention it deserves at some point, as well. awesome! i wasnt planning on getting killzone since my friend let me borrow it back near the release, but for 30$ ill definitely be picking it up sooner or later, ive been planning for awhile to pick up inFamous since it was dropped to 40, but now that its 30 im definitely getting it soon. I already have most of the others and I dont want soul calibur. I got deadspace for 20 last year, great game. 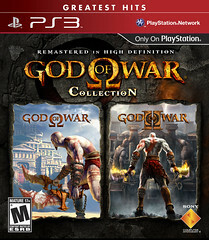 Also to the people complaining about GOW collection, come on its 30 for 2 great games, thats a great deal. I already got Dead Space for 19.99 brand new like…mid last year. Does this mean the price went UP? I’ll probably pick up Killzone 2, InFamous, Resistance 1 and 2 and possibly Soul Caliber IV though. Mmm…cheap gaming. 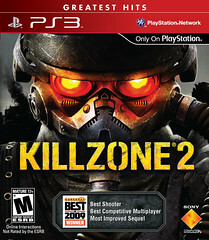 Finally i can pick up Killzone!!! ANybody have sugestions on an HDTV? My budget max is 500 bucks……. Could I get one of these in exchange for my removed OtherOS functionality I paid for? Dead Space doesn’t come with any of the DLC same with Soul Calibur 4 you’ll have to buy those from PSN. Dead Space and resistance for me off the bat. I’ll buy Killzone 2 later down the line. Gold Edition includes all of the DLC on the disc while RE5(regular edition) you’ll have to fork over the money for the DLC on PSN. I would go with Gold Edition for that extra $20 instead. So when exactly can we expect these titles to be priced at $29.99? I was at Target today and saw Little Big Planet GOTY edition but it was priced at $59.99. I heard that tomorrow we can pick these titles up for $29.99. Did God of War Collection really sell that well or was it just $30 already so might as well throw it in? If it sold well then how about making some more remastered PS2 games? One that I’d like to see is Jak 2. I’m liking the games but why does the box have to look so ugly? My brother just bought LittleBigPlanet: game of the year edition for 60 dollars…. We’ll be rolling out ten, yes TEN, new PS3 “Greatest Hits” titles at retailers in U.S. and Canada over the course of the next few weeks. Might take a few weeks for retailers to reflect new pricing. Hey I might have bought LBP but this new one might not work since I refuse to update to the 3.21 downgrade. Holy Smokes! I can’t believe you dropped lbp to 29.99, that’s a great deal for this gens best game. Cool now I can buy INFAMOUS for less.I hope they add more in the future..